This video tour will walk you through TänkBar and how it works. Want to know more? 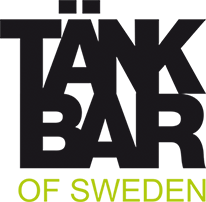 Watch our video clips from TänkBar sessions at ICOT2015 and/or download a pdf of our TänkBar of Sweden – food for thought. TänkBar is a venue with thinking on the menu. It’s a tasty and visual combination of a restaurant, meeting room and creative studio – made for thinking. We have enhanced the eatery environment with various visual thinking tools. These tools make it easier to think together and also remember what you were thinking. For instance, food packaging is used as visual props. And multiple senses are activated when photos, symbols and words are placed on objects in the environment. The table setting is also often setup for presenting information and engaging participants while dining. As a TänkBar guest you’re supported by our staff of TänkBaristas, both in serving the thinking menu and the food menu. In TänkBar you’re able to dine or have a coffee break while meeting, thinking and learning. …time. Finally you have time for food and drinks without having to miss out on improving that meeting, designing that presentation, creating that class or arranging that important event. …teamwork. You easily create a focused and energizing atmosphere when borrowing each other’s brains over a tasty treat. …thinkability. In TänkBar, chances are that you’ll actually hear each other, analyse real issues, come up with new ideas, make decisions, create useable plans and learn new things quickly.